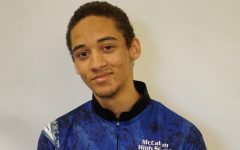 Senior Anthony Bourda leads the undefeated boys team with a 188.25 average, the highest of all bowlers in the the THSBC Austin Capital District. Photo by Frances Arellano. 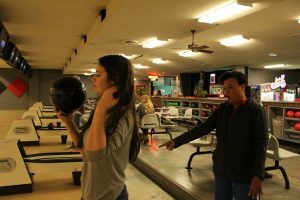 The boys and girls bowling teams both claimed sole possession of first place in the THSBC Austin Capital District on Friday with victories over Hendrickson at Dart Bowl. 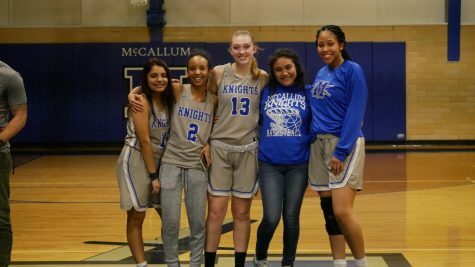 In a battle between the two teams tied for first in the district, the Mac girls bowling team (2-0, 3-1) came from behind to defeat previously undefeated Hendrickson (1-1, 3-1), 9-7. 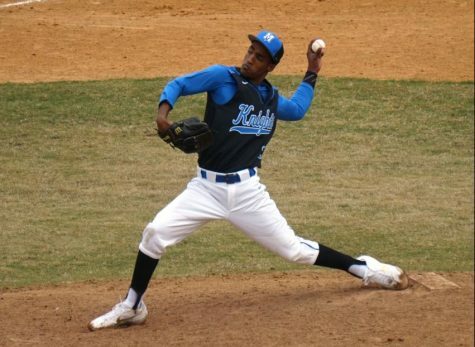 Mac trailed 3-1 after the individual games but dominated the Baker games to claim the victory. 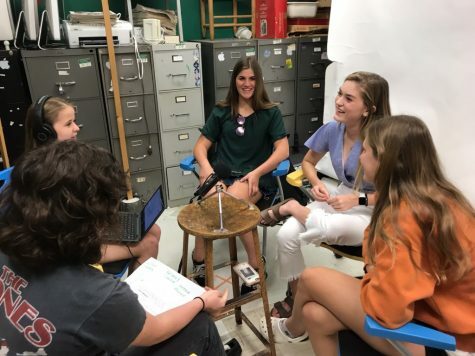 During last Wednesday’s practice session at Dart Bowl, Coach Ann Shivers worked with the girls team on converting spares where only 10-pin is left standing after the first ball. The girls team is hoping to improve its average scores by converting more spares. Photo by Frances Arellano. 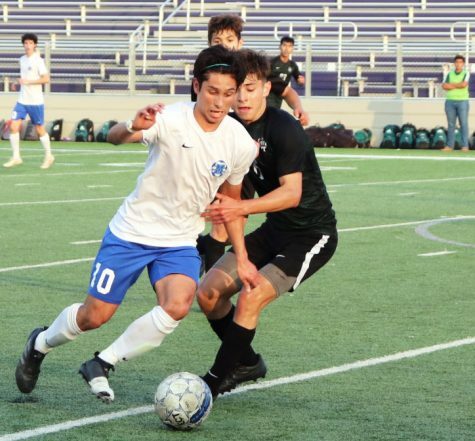 The boys’ victory over Hendrickson was less dramatic. The Knights (2-0, 4-0) swept the individual round and won all but one Baker game to cruise to a 14-2 victory. Max Cioci rolled a 241 in the match, his top game and the highest single-game score of any Mac bowler so far this season. For the season, the boys are not only undefeated but they’ve won virtually every individual and Baker game they’ve played. 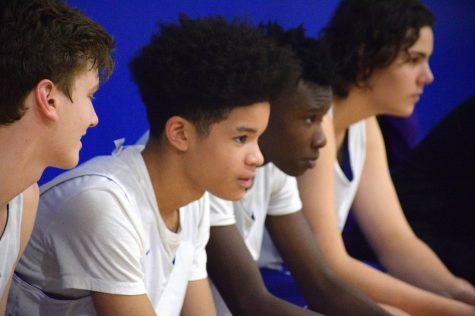 The boys have won 48 of a possible 52 points this season. A team earns one point for a victory in the individual games and two points for every Baker game won. In a Baker game, the bowlers on the team alternate frames and earn an aggregate team score. Both the Mac girls and boys are in first place after two district matches with four left to play. 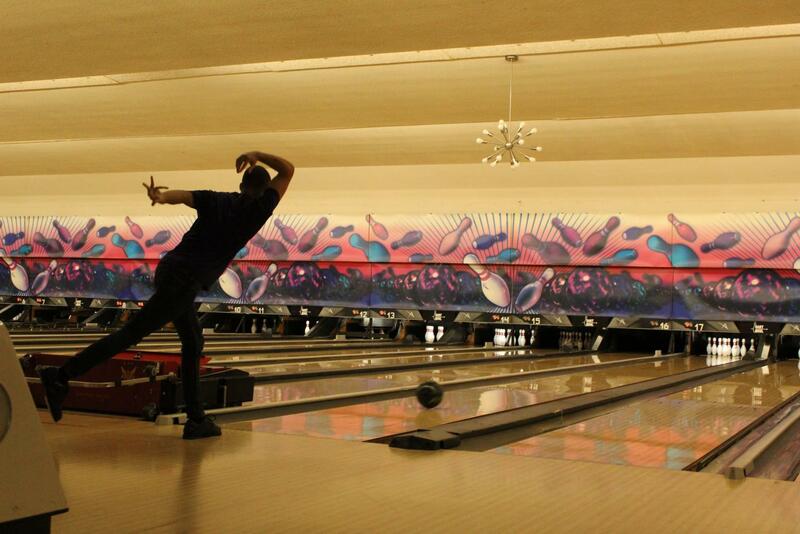 The teams square off against Weiss on Friday at Spare Time Lanes in Pflugerville. The Weiss girls (0-2, 0-4) are hoping for their first team win of the season. 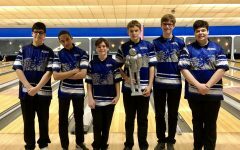 The Weiss boys (1-1, 2-2) have enjoyed more success and boast the boys bowler with the fourth best average in district. 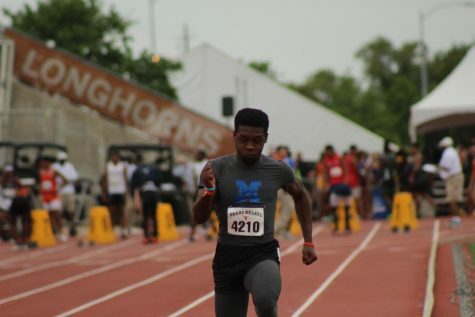 To qualify for the regional tournament, Mac must finish first or second in the district. 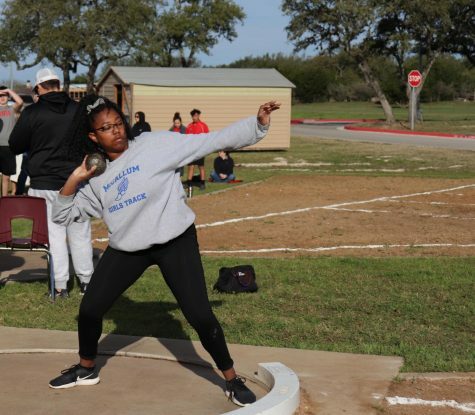 The boys and girls with the four highest averages also qualify for the regional tournament as individuals. 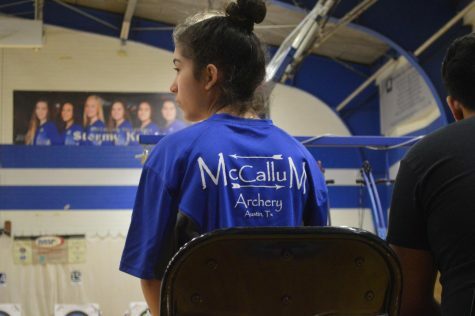 Currently, McCallum has two girls bowlers in the top four and three boys in the top four. 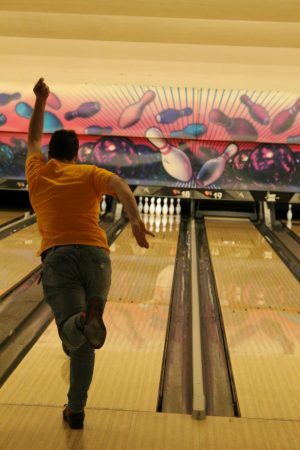 Max Cioci rolled a 241 on Friday night, the top score for any Mac bowler all season. Photo by Ivy Golyzniak. Zoey Rucker (114.5) and Frances Arellano (113.0) have the No. 2 and No. 3 individual averages and would qualify for the regional tournament if they finish district play in the top four. 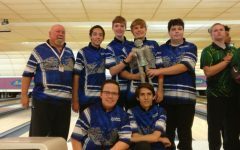 The McCallum boys have five of the top six bowlers by average in the district. Anthony Bourda (188.25), Max Cioci (185.0), and Gavin Lee (177.5) have the top three averages and would qualify for regionals if they finish in the top four. Gordon Bolton (168.75) and Bruno Cioci (165.25) are just outside the top four at No. 5 and No. 6 in the individual average rankings. Either would qualify by moving into the top four by the end of the district season. 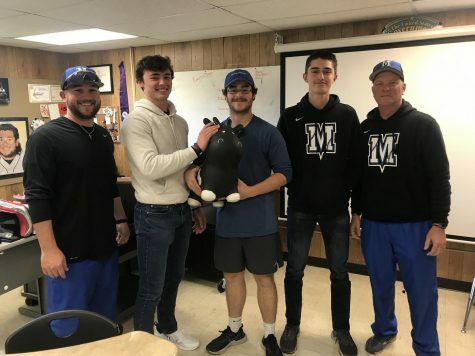 The next Dart Bowl match for McCallum is Feb. 1 against Anderson. The Anderson girls team is tied for second in district at 1-1 with a 2-2 season record. The Anderson boys (0-2, 0-4) are looking for their first win of the season. 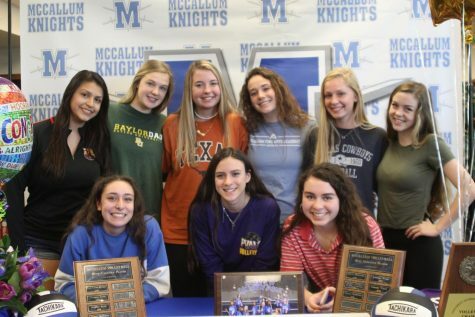 After a match against Hendrickson at Spare Time Lanes on Feb. 8, McCallum will close the district season with matches at Dart Bowl against against Weiss. At Wednesday’s practice session, Coach Ann Shivers worked with the girls team on converting spares where only 10-pin is left standing after the first ball. The girls team is hoping to improve its average scores by converting more spares. I like this story cause the photos were really cool and artsy. I like the angle and clarity of the first photo, and that they covered the bowling team because I didn’t know much about it before reading this.